The most incredible Cancun vacation is close at hand in the comfortable rooms of Oasis Cancun Lite. This rooms are equipped with all services and comforts you may need to enjoy this amazing tourist destination, with unbeatable rates that stick to your budget. In addition to its amenities, here you'll relax in a soothing and air-conditioned ambiance, just a few steps from all the resort entertainment. Enjoy Cancun, travel with family, friends or in couple without exceeding your budget. 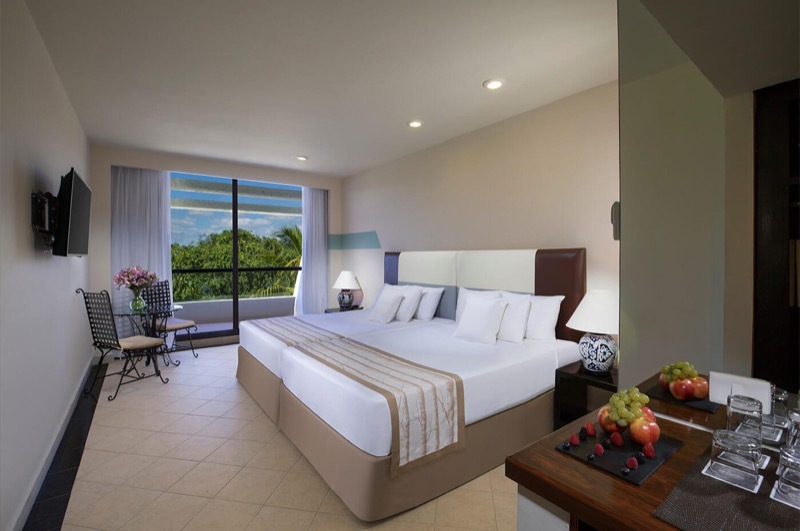 Enjoy all the comfort during your trip to Cancun in our Oasis Lite room. With all the necessary amenities, this room has a sober and relaxing design, private bathroom, large beds and a breakfast area that will make your stay in the Mexican Caribbean a pleasant experience. Book your stay at this fantastic all-inclusive resort today. Check in and Check out express.